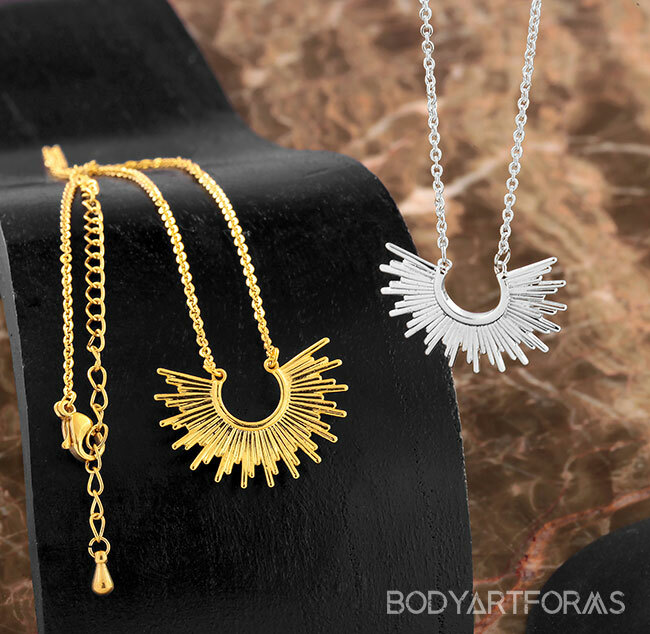 This necklace will bring some sunshine to your look with it's linear ray pattern. Available in silver or gold with an adjustable chain. The chain can be adjusted from 16" to 18"